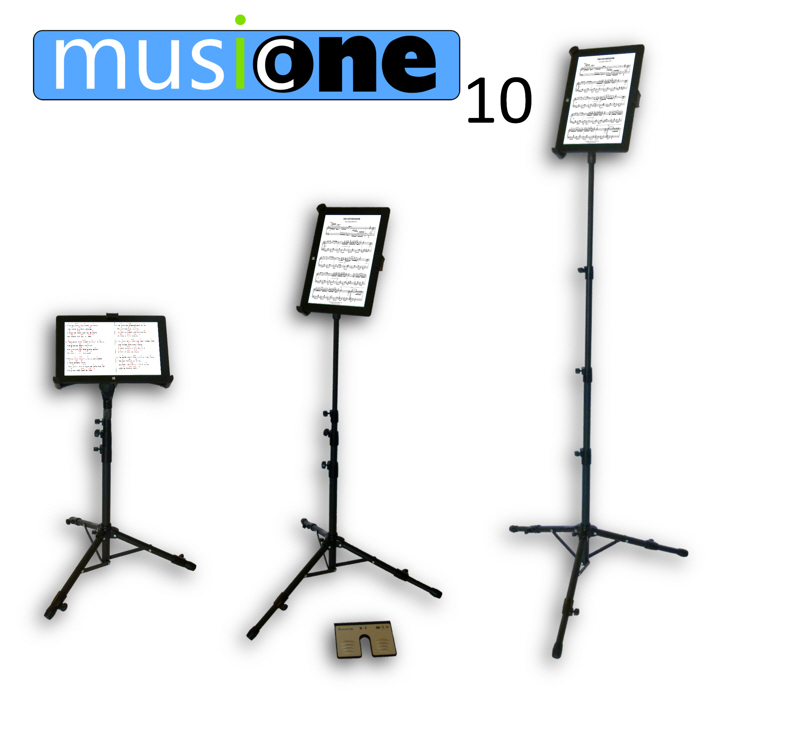 View basket “MusicOne 10 Digital Music Stand” has been added to your basket. 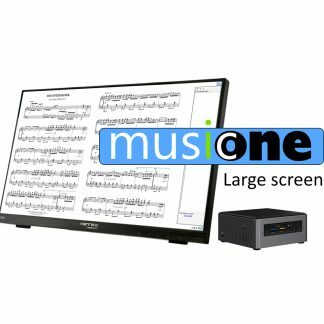 The new MusicOne 10 is the perfect compact, digital music display for musicians. Pre-installed with the superb Power Music Professional software, it makes moving from paper music to digital music display so easy! HD Resolution 1280 x 800 touchscreen. 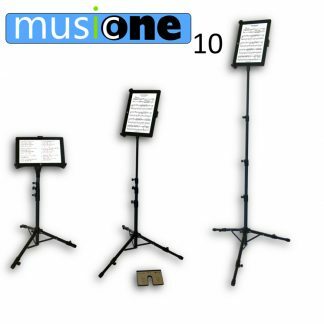 A complete MusicOne 10 (tablet, mount, stand, pedal & software) costs less than an iPad! 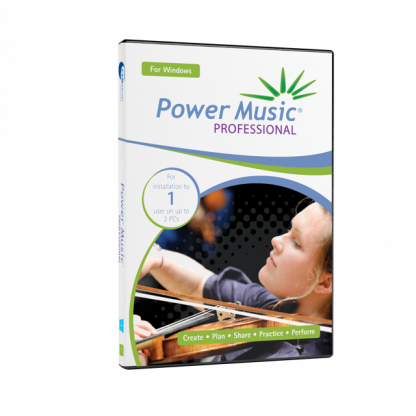 + FREE One year Standard Power Music Box subscription when 2 or more MusicOnes purchased. 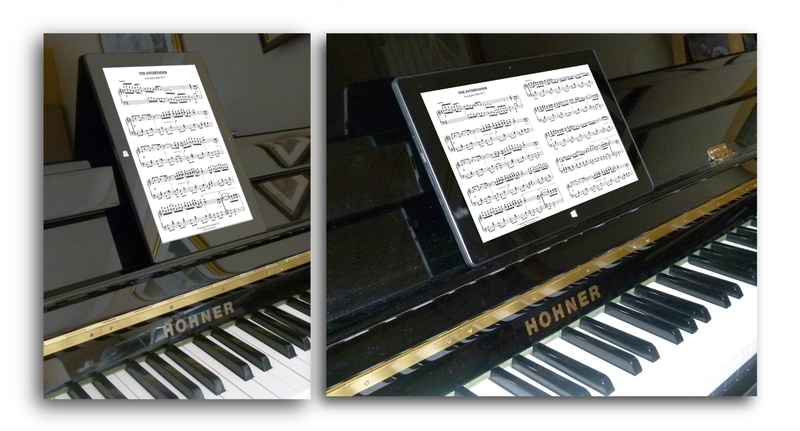 10.1 inch touchscreen tablet, 1280 x 800 resolution for ultra clear music. 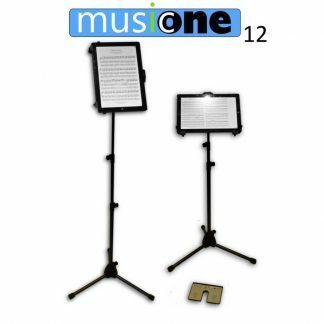 The all new high quality adjustable telescopic stand and 3-point tablet mount, makes the MusicOne 10 comfortable to use whether standing or sitting. Use in either portrait or landscape, simply rotate the Pad to change mode. With a choice of page turner pedals, including the amazing Bluetooth AirTurn BT200S-2. 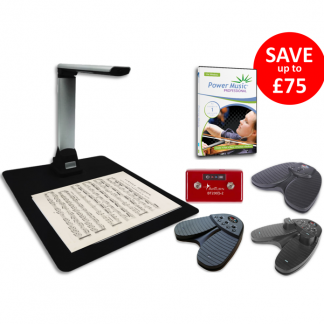 This robust, lightweight pedal makes hands-free page turning a breeze! 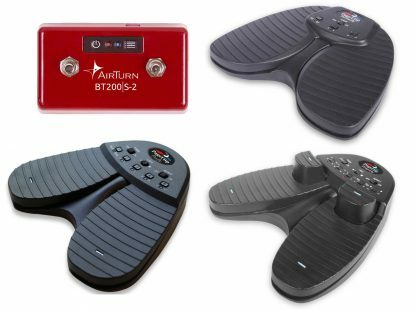 Also available are the options of the PageFlip Firefly pedal – a real work-horse pedal with easy to use configuration and built-in LED lights for use on dark stages, the great value, new PageFlip Butterfly and Dragonfly Quad. 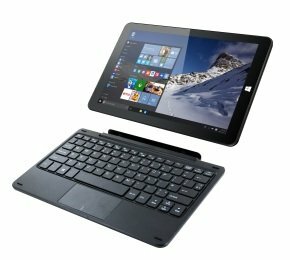 The MusicOne 10 is a full spec Windows 10 tablet, with a 64GB SSD which has ample space to store 1,000s of pages of music. Using the HDMI connection, screen output can be sent to a second monitor or projector. Battery life is sufficient for 5 hours of practice or performance. 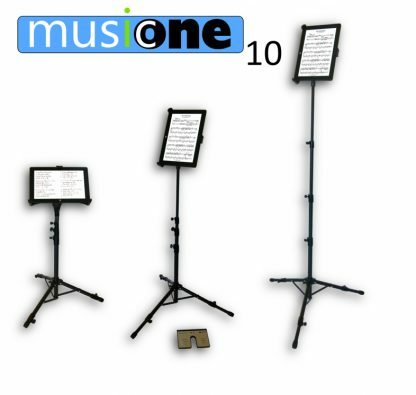 Once you have used the MusicOne 10 with hands-free page turning you will never go back to paper.